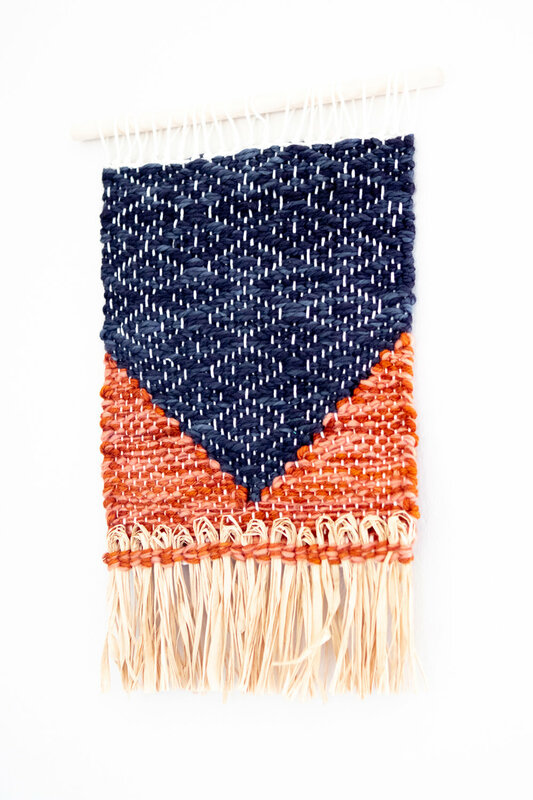 This class is a great way for makers who have a basic knowledge of weaving to learn more with new projects and techniques. 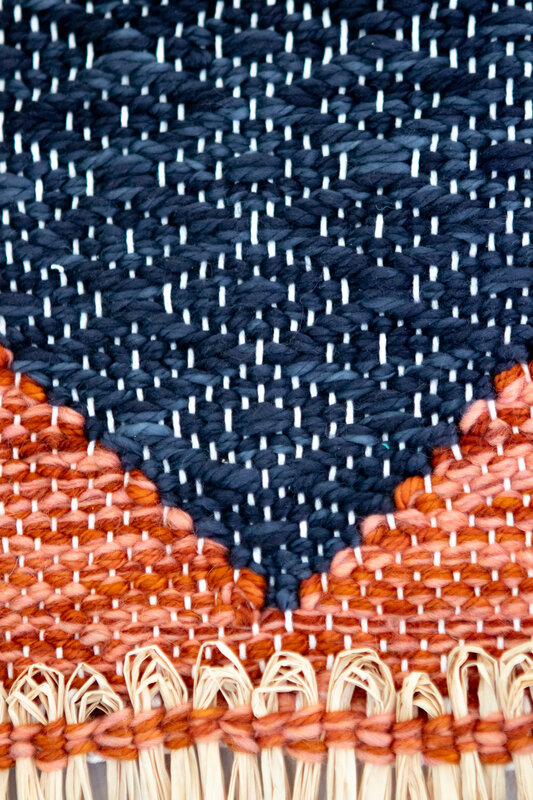 This class is part of The Monthly Weaving Series; my subscription program that sends a new tapestry project to members for $10 each month. If you missed out you can catch up by grabbing a past class when the month is over. 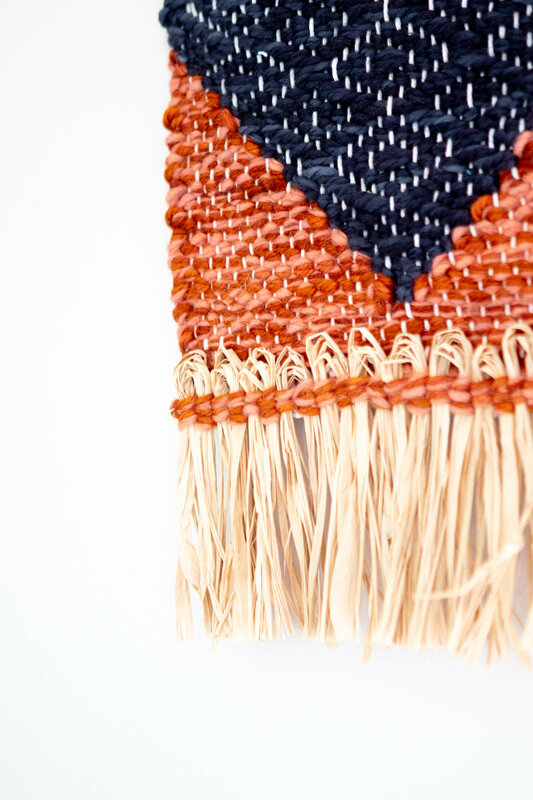 Click below to subscribe so that you can weave with us! The class includes diagrams of the techniques, a note on what supplies to use and a full video of me completing the project from start to finish. A: The techniques are explained for beginners to be able to keep up, but I recommend you take my beginning weaving video class for deeper knowledge of the basic techniques and terms that I don’t go into detail about.